Muscle building, fitness, strength, power, endurance, getting huge are great goals that people work very hard toward attaining, putting in lots of time, effort and pain at the gym. For some people, making gains can feel like the most important thing in the world, but all this is worth nothing if your health fails. For many people, supplements, like pre-workouts, are part of this regime. Modern pre-workouts often perform in a variety of ways. Increasing pump and cell volume, providing energy, increasing strength and endurance, and lifting mood are some of the more common modes of action, and across the market, a huge number of ingredients are used. It is natural to be concerned about any potential health effects these supplements may have, and how to use them safely to maximise gains. The potential for kidney damage with pre-workout formulas is something that is occasionally speculated over because of two common ingredients – creatine, and stimulants, particularly caffeine. Creatine is one of the most widely studied ingredients, and there is overwhelming evidence to show it does not damage the kidneys in normal, healthy adults (1). A meta-analysis of studies looking at safety concluded that daily doses of between 5-20g were safe to take in the long term with no side effects (2). Caffeine, and other stimulants are very common inclusions in pre-workout supplements, and many people like the boost they give to their workout. There is no evidence that ingesting these stimulants in the prescribed doses can damage a healthy kidney (3). That is not to say caffeine and similar stimulants have no effect on the kidney – they are very effective diuretics, so care must be taken to stay hydrated through the workout. Nitric Oxide (NO) Producers, like arginine, are common pre-workout ingredients. NO is a neurotransmitter which tells the blood vessels to dilate. This enhances blood flow to the muscles and organs, and is responsible for the great pump you get from pre-workouts. The good news is that arginine is not only safe for the kidneys, but it is also beneficial - it is actually used to treat renal failure by counteracting poor blood flow (4). Taurine is another common pre-workout ingredient. It is a cell volumiser that increases strength and protects against muscle damage, and similarly to arginine, it is beneficial. Taurine actively prevents inflammatory damage to the kidneys caused by disease and injury, by a number of mechanisms, so pre-workouts containing taurine may actually support renal health (5). There are regular anecdotal reports of raised liver enzymes in bodybuilders using supplements, but this has never been tied to a particular ingredient. Rather, studies have suggested that heavy training itself may cause abnormal liver function (11). As was the case with the kidneys, the effect of creatine on the liver has been very well studied, and overwhelmingly, long term creatine consumption within the normal therapeutic range does not have any adverse effects (1). There is scant evidence that any of the other common ingredients in pre-workout supplements can cause liver damage when taken in the recommended manner. There is even some evidence that Taurine and caffeine can benefit those suffering certain types of liver disease (7, 8). Although the food standards board and/or the therapeutic goods administration do monitor the products on the market for safety, pre-workout supplements often contain ingredients that have not had their safety established to the same rigorous degree as the more common ingredients listed above. In addition, botanical extracts are widely used in pre-workouts. Botanical extracts can vary in the amount of active ingredient or contain contaminants or secondary ingredients that may harm the liver. This, however, is very rare. The safest option is to go for products made by large and well known brands becuase it is more likely these companies employ more quality checks than smaller operators. The vast majority of pre-workout formulations will be safe for almost everyone if they are used correctly, and while a pre-workout may temporarily increase the heart rate or the blood pressure, this should not cause a problem in a normal, healthy individual. The regulatory agencies in Australia are very quick to take an ingredient off the market if it shows any potential to to cause ill health. This was the case with DMAA, a stimulant popular in pre-workouts, after it was found to cause serious side effects, including cardiovascular problems and stroke, in a small number of people when used incorrectly (9). Similarly, Yohimbine, variously classed as a fat metaboliser, stimulant and aphrodisiac, was taken out of pre-workouts and placed on the restricted import list after it was found to cause cardiac arrhythmia in a small number of people (10). Although each of these supplements was only implicated in a very small number of incidents, their banning, particularly while these substances are still legal in the US, is a testament to the stringency of safety regulation in this country. It also acts as reassurance that the pre-workout supplements that remain legally for sale are constantly monitored, and very unlikely to have negative health effects. While pre-workout supplements are genereally very safe to take for most healthy people, there are a number of pre-existing conditions that may be exacerbated by ingredients in these formulations. A good general rule is to consult a doctor or medical professional before making any changes to a regime, including the commencement of pre-workout supplementation. A doctor will be able to point out any medications or conditions that could interact with the ingredients in the supplement and advise on any potential risks. Good health is the foundation of athleticism, and should always be put first. (1) Persky, A. M.; Rawson, E. S. (2007). 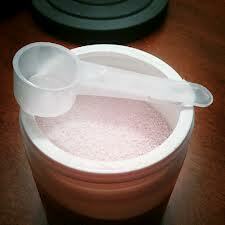 "Safety of creatine supplementation". Sub-cellular biochemistry. Subcellular Biochemistry 46: 275–289. (3) Osswald H, Schnermann J. Methylxanthines and the kidney. Handb Exp Pharmacol. 2011;(200):391-412. (4)Watanabe G, Tomiyama H, Doba N. Effects of oral administration of L-arginine on renal function in patients with heart failure. J Hypertens 2000 Feb;18(2):229-34. (5) Chesney RW, Han X, Patters AB. Taurine and the renal system. J Biomed Sci. 2010 Aug 24;17 Suppl 1:S4. (6) Muriel P, Arauz J. Coffee and liver diseases. Fitoterapia. 2010 Jul;81(5):297-305. (8) Molloy JW, Calcagno CJ, Williams CD, Jones FJ, Torres DM, Harrison SA. Association of coffee and caffeine consumption with fatty liver disease, nonalcoholic steatohepatitis, and degree of hepatic fibrosis. Hepatology. 2012 Feb;55(2):429-36. (9) The TGA Decision to Ban DMAA. Australian Government Department of Health Therapeutic Goods Administration, 3rd August 2012. http://www.tga.gov.au/newsroom/btn-tga-statement-dmaa-120803.htm#.UtcbOvQW1Z8. Accessed 16th January 2014. (10) List of drug substances requiring import and or export authorisations. Australian Government Department of Health Therapeutic Goods Administration. Updated 6th December 2013. http://www.health.gov.au/internet/main/publishing.nsf/Content/ocs-treaties-compliance-prohibited-impexp-precursor.htm. Accessed 16th January 2014. (11) Hoene M, Weigert C. The stress response of the liver to physical exercise.Exerc Immunol Rev. 2010;16:163-83.